^ "Designation of National Park System Units". National Park Service. Retrieved April 5, 2008. ^ "The National Park Service Organic Act". National Park Service. Retrieved April 5, 2008. ^ Albright, Horace M. as told to Robert Cahn; The Birth of the National Park Service; The Founding Years, 1913–33; Howe Brothers, Salt Lake City, Utah; 1985. ^ "National Park Service Organic Act". Nps.gov. Retrieved October 3, 2010. ^ "Directors of the National Park Service". National Park Service. Retrieved April 5, 2008. ^ Gr8LakesRestoration. YouTube. Retrieved on May 24, 2014. ^ a b "National Park Service. U.S. Department of the Interior, (2012). NPS Overview". ^ Yue, Cui; Mahoney, Ed; Herbowicz, Teresa (2013). "Economic Benefits to Local Communities from National Park Visitation – 2011" (PDF). United States. National Park Service, Department of the Interior. Washington, D.C.
^ National Parks Conservation Association. (2011). Made in America: Investing in National Parks for Our Heritage and Our Economy. In Washington, D.C.
^ "NPS Stats for 2009". Nature.nps.gov. Retrieved October 3, 2010. ^ National Park Service: New Jersey Pinelands National Reserve. Retrieved September 2, 2010. ^ "NPS Reports". Nature.nps.gov. Retrieved September 28, 2011. ^ Butch Street (March 2011). "Statistical Abstract 2010" (PDF). Natural Resource Data Series NPS/NRPC/SSD/NRDS—2011/147. National Park Service. p. 16. Retrieved July 1, 2012. ^ The National Park or Parking System?. National Parks. July–August 2001. Retrieved November 19, 2012. ^ "Webrangers". Webrangers.us. Retrieved July 24, 2012. ^ "NPS Youth Programs". Nps.gov. Retrieved October 3, 2010. ^ "NPS Campground Accessibility". Nps.gov. Retrieved October 3, 2010. ^ "NPS Accessible trails". Nps.gov. Retrieved October 3, 2010. ^ "NPS Accessible Vistas". Nps.gov. July 25, 2008. Retrieved October 3, 2010. ^ "National Park Service". Tdtcompanion.com. Retrieved July 24, 2012. ^ Yosemite National Park | The Official Guide to Lodging & Activities. Yosemitepark.com. Retrieved on May 24, 2014. ^ "xanterra.com". xanterra.com. June 12, 1981. Retrieved July 24, 2012. ^ "NPS About US". Nps.gov. Retrieved October 3, 2010. ^ "Washington Contacts". Nps.gov. Retrieved October 3, 2010. 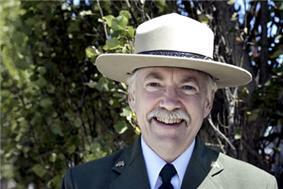 ^ "Director's Order #7: Volunteers in Parks; June 13, 2005; Department of the Interior, National Park Service". Nps.gov. Retrieved October 3, 2010. ^ "NPS Artist-in-Residence". Nps.gov. Retrieved October 3, 2010. 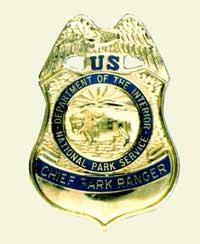 ^ "Association of National Park Rangers". Anpr.org. Retrieved December 31, 2013. ^ "18 USC § 7 – Special maritime and territorial jurisdiction of the United States defined | Title 18 – Crimes and Criminal Procedure | U.S. Code | LII / Legal Information Institute". Law.cornell.edu. Retrieved February 28, 2013. ^ "16 USC § 1a–6 – Law enforcement personnel within National Park System | Title 16 – Conservation | U.S. Code | LII / Legal Information Institute". Law.cornell.edu. Retrieved February 28, 2013. ^ "18 USC § 13 – Laws of States adopted for areas within Federal jurisdiction | Title 18 – Crimes and Criminal Procedure | U.S. Code | LII / Legal Information Institute". Law.cornell.edu. Retrieved February 28, 2013. ^ rwcar4. "Police Cars". Policecarwebsite.net. Retrieved February 28, 2013. ^ "US Office of Personnel Management" (PDF). Retrieved December 31, 2013. ^ "Director's Orders and Related Documents/NPS Office of Policy". Home.nps.gov. Retrieved February 28, 2013. ^ "NPS Director's Order 9: Law Enforcement Program". Nps.gov. Retrieved February 28, 2013. ^ "United States Park Police". Nps.gov. Retrieved December 31, 2013. 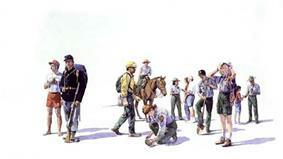 ^ "National Park Service Archeology Program". National Park Service. Retrieved October 15, 2009. ^ "Rivers, Trails, and Conservation Assistance Program". National Park Service. Retrieved April 5, 2008. ^ "Challenge Cost Share Program". National Park Service. Retrieved April 5, 2008. ^ "Federal Lands to Parks". National Park Service. Retrieved April 5, 2008. ^ "Hydropower Relicensing Program". National Park Service. Retrieved April 5, 2008. ^ "Land and Water Conservation Fund". National Park Service. Retrieved April 5, 2008. ^ "National Trails System". National Park Service. Retrieved April 5, 2008. ^ "Partnership Wild & Scenic Rivers". National Park Service. Retrieved April 5, 2008. ^ a b "BioBlitz, Species Inventory Information, Facts". National Geographic. Retrieved October 3, 2010. ^ "National Parks Traveler, May 17th, 2009; Kurt Repanshek". Nationalparkstraveler.com. Retrieved October 3, 2010. ^ a b "Biscayne BioBlitz page". Nps.gov. Retrieved May 22, 2011. ^ Braun, David (August 26, 2012). "BioBlitz Finds 489 Species in Rocky Mountain National Park". National Geographic Society. Retrieved October 22, 2012. ^ "BioBlitz 2013: Jean Lafitte National Historical Park and Preserve". National Geographic Society. Retrieved October 22, 2012. ^ a b National Park Service (April 2012). "Green Parks Plan". US Dpt of the Interior. Retrieved September 2, 2015. ^ National Park Service. "Climate Friendly Parks Program". US Dpt of the Interior. Retrieved September 2, 2015. ^ Seth Shteir (April 9, 2010). "The Grange; Climate Friendly National Parks". High Country News. Retrieved May 22, 2011. ^ National Park Service. "Explore Climate Friendly Parks". Nps.gov. Retrieved May 22, 2011. ^ Shawn Norton, chief for sustainable operations and climate change Plastic Water Bottles in National Parks and the Green Parks Plan, National Park Service, January 5, 2010. ^ "Nearly two dozen national park sites ban plastic water bottle sales". The Wilderness Society. April 10, 2014. Retrieved September 2, 2015. ^ Lisa Rein, How Big Water is trying to stop the National Park Service from cleaning up plastic bottles fouling the parks, Washington Post, July 13, 2015. William Kent (U.S. Congressman), donated early parklands to the government. John F. Lacey, congressman from California. By 2014, 23 parks had banned disposable water bottles. In 2015, the International Bottled Water Association stated the NPS was "leaving sugary drinks as a primary alternative", even though the Park Service provides water stations to refill bottles, "encouraging visitors to hydrate for free." The Water Association made the national parks one of its top lobbying targets and in July 2015 Rep. Keith Rothfus added a "last-minute" amendment into Congress's appropriations bill, blocking the National Park Service from funding or enforcing the program. In 2010, the National Park Service estimated that reducing bottled water could eliminate 6,000 tons of carbon emissions and 8 million kilowatt hours of electricity every year. The NPS Concessions office voiced concerns about concessions impacts. The large, isolated parks typically generate their own electricity and heat and must do so without spoiling the values that the visitors have come to experience. Pollution is emitted by the vehicles used to transport visitors around the often-vast expanses of the parks. Many parks have converted vehicles to electric hybrids, and substitute diesel/electric hybrid buses for private automobiles. In 2001 it was estimated that replacement with electric vehicles would eliminate 25 TPY emissions entirely. The Climate Friendly Parks Program is a subset of the Green Parks plan. It was created in collaboration between the National Park Service and the U.S. Environmental Protection Agency. The program is meant to measure and reduce greenhouse gases to help slow the effects of climate change. Parks in the CFP program create and implement plans to reduce greenhouse gases through reducing energy and water use. Facilities are designed and retrofitted using sustainable materials. Alternative transportation systems are developed to reduce dependency on fossil fuels. Parks in the program offer public education programs about how the parks are already affected. The program provides climate friendly solutions to the visiting public, like using clean energy, reducing waste, and making smart transportation choices. The CFP program can provide technical assistance, tools and resources for the parks and their neighboring communities to protect the natural and cultural resources. In September 2010, the NPS released its Climate Change Response Strategy, followed in April 2012 by the Green Parks Plan. 24-hr all Taxa BioBlitz: A joint venture of the National Geographic Society and the National Park Service. Beginning in 2004, at Rock Creek Parkway, the National Geographic Society and the National Park Service began a 10-year program of hosting a major biological survey of ten selected national park units. The intent is to develop public interest in the nations natural resources, develop scientific interest in America's youth and to create citizen scientist. 2008: Santa Monica Mountains National Recreation Area, Los Angeles, California. 1,700 species and more pending. 2009: Indiana Dunes National Lakeshore, greater Chicago, in northern Indiana. 1,716 species and still counting. 2010: Biscayne National Park, Miami, Florida. 810 species were identified during this 24-hr event. As classification continues, more species will be added to the list. 2011: Saguaro National Park, Tucson, Arizona. During the 24-hours, 859 different species were identified, of which more than 400 were previously unknown in the park. 2012: Rocky Mountain National Park, in Estes Park, In August 2012 489 species were identified. 2013: Jean Lafitte National Historical Park and Preserve, in New Orleans. The BioBlitz will occur on May 17 and 18, 2013 in the park's Barataria Preserve. Biological Diversity: Biological Diversity is the vast variety of life as identified through species and genetics. This variety is decreasing as people spread across the globe, altering areas to better meet their needs. Climate Change: Warming of the climate system is unequivocal, as is now evident from observations of increases in global average air and ocean temperatures, widespread melting of snow and ice, and rising global sea levels. (Intergovernmental Panel on Climate Change, 2007). South Florida Restoration Initiative: Rescuing an Ecosystem in Peril: In partnership with the State of Florida, and the Army Corps of Engineers, the National Park Service is restoring the physical and biological processes of the South Florida ecosystem. Historically, this ecosystem contained some of the most diverse habitats on earth. 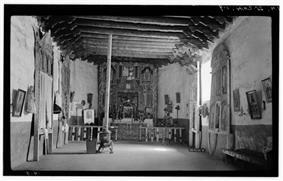 Vanishing Treasures Initiative: Ruins Preservation in the American Southwest: The Vanishing Treasures Initiative began in FY 1998 to reduce threats to prehistoric and historic sites and structures in 44 parks of the Intermountain Region. In 2002, the program expanded to include three parks in the Pacific West Region. The goal is to reduce backlogged work and to bring sites and structures up to a condition where routine maintenance activities can preserve them. Wetlands: Wetlands includes marshes, swamps, and bogs. These areas and the plants and animals adapted to these conditions spread from the arctic to the equator. The shrinking wetlands provide habitat for fish and wildlife, help clean water and reduce the impact of storms and floods on the surrounding communities. Wildland Fire: Fires have been a natural part of park eco-systems. Many plants and some animals require a cycle of fire or flooding to be successful and productive. With the advent of human intervention and public access to parks, there are safety concerns for the visiting public. have enough universally recognized natural and cultural features that they are considered to merit the protection of all the peoples in the world. 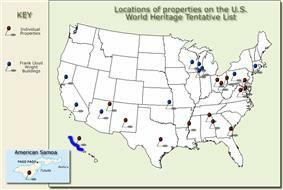 The National Park Service is responsible for 16 of the 19 World Heritage Sites in the United States. National Heritage Areas are a unique blend of natural, cultural, historic, and scenic resources. Having developed out of a shared historic, they create a unique whole. Currently (2015) there are 49 designated heritage areas. The National Trails System is a joint mission of the National Park Service, the Bureau of Land Management and the U.S. Forest Service. It was created in 1968 to establish a system of long-distance National Scenic and National Historic Trails, as well as to recognize existing trails in the states as National Recreation Trails. Several additional trails have been established since 1968, and in 2009 Congress established the first National Geologic Trail. The RTCA program of the National Park Service is designed to assist local communities and the public in preservation of rivers, trails and greenways. Unlike the mainline National Park Programs, these programs take place on non-federal property at the request of the local community. One of their better known programs is Rails to Trails, where unused railroad right-of-ways are converted into public hiking and biking trails. 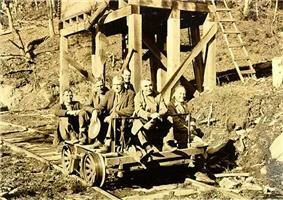 Recognizing a similar fragility in our national industrial and engineering heritage, the National Park Service, the Library of Congress and the American Society of Civil Engineers (ASCE) formed the HAER program in 1969, to document nationally and regionally significant engineering and industrial sites. 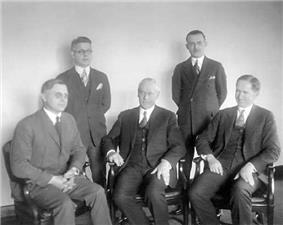 A short while later, HAER was ratified by the American Society of Mechanical Engineers (ASME), the Institute of Electrical and Electronic Engineers (IEEE), the American Institute of Chemical Engineers (AIChE) and the American Institute of Mining, Metallurgical and Petroleum Engineers (AIME). HAER documentation, in the forms of measured and interpretive drawings, large-format photographs and written histories, is archivally preserved in the Prints and Photographs Division of the Library of Congress, where it is readily available to the public. In 1933, the National Park Service, Department of the Interior, established the Historic American Buildings Survey (HABS), based on a proposal by Charles E. Peterson, Park Service landscape architect. It was founded as a make-work program for architects, draftsmen and photographers left jobless by the Great Depression. Guided by field instructions from Washington, D.C., the first recorders were tasked with documenting a representative sampling of America's architectural heritage. After 70 years, there is now an archive of historic architecture. HABS provided a database of primary source material for the then fledgling historic preservation movement. 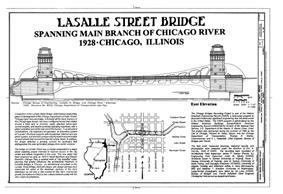 HABS/HAER produces measured drawings, large-format photographs and written histories of historic sites, structures and objects, that are significant to the architectural, engineering and industrial heritage of the U.S. Its 25,000 records are part of the Library of Congress. HABS/HAER is administered by the NPS Washington office and five regional offices. The oldest federal preservation program, the Historic American Buildings Survey/Historic American Engineering Record (HABS/HAER), produces graphic and written documentation of historically significant architectural, engineering and industrial sites and structures. Dating from 1934, the Historic American Buildings Survey (HABS) was chartered to document historic architecture—primarily houses and public buildings—of national or regional significance. Originally a New Deal employment/preservation program, after World War II, HABS employed summer teams of advanced undergraduate and graduate students to carry out the documentation, a tradition followed to this day. Many of the structures they documented no longer exist. The National Center for Preservation Technology and Training, located in Natchitoches, Louisiana, conducts research and training in the fields of archeology, architecture, landscape architecture and materials conservation. The Submerged Resources Center is the unit responsible for inventory and evaluation of submerged resources throughout the National Park system. The SRC is based out of the Intermountain Region's headquarters in Lakewood, Colorado. 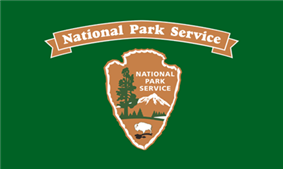 National Park Service training centers include: Horace Albright Training Center, Grand Canyon; Stephen Mather Training Center, Harpers Ferry, West Virginia; Historic Preservation Training Center, Frederick, Maryland and Capital Training Center, Washington, D.C. The National Park Service operates four archeology-related centers: Harpers Ferry Center in Harpers Ferry, West Virginia, the Midwest Archeological Center in Lincoln, Nebraska, the Southeast Archeological Center in Tallahassee, Florida and the Western Archeological and Conservation Center in Tucson, Arizona. The Harpers Ferry Center specializes in interpretive media development and object conservation. The other three focus to various degrees on archaeological research and museum object curation and conservation. Other special NPS divisions include the Archeology Program, Historic American Buildings Survey, National Register of Historic Places, National Natural Landmarks, the Rivers, Trails and Conservation Assistance Program, the Challenge Cost Share Program, the Federal Lands to Parks, the Hydropower Relicensing Program, the Land and Water Conservation Fund, the National Trails System and the Partnership Wild and Scenic Rivers Program. The United States Park Police (USPP) is the oldest uniformed federal law enforcement agency in the United States. It functions as a full service law enforcement agency with responsibilities and jurisdiction in those National Park Service areas primarily located in the Washington, D.C., San Francisco, and New York City areas. In addition to performing the normal crime prevention, investigation, and apprehension functions of an urban police force, the Park Police are responsible for policing many of the famous monuments in the United States and share law enforcement jurisdiction in all lands administered by the Service with a force of National Park Rangers tasked with the same law enforcement powers and responsibilities. Generally speaking the laws enforced on NPS lands are covered in Title 36 Code of Federal Regulations. The NPS also enforces United States Code. Title 16 of the United States Code, Title 18 of the United States Code and Title 21 of the United States Code are enforced most commonly. The National Park Service generally also has the authority to enforce any state law not covered already by federal laws under the Assimilative Crimes Act, 18 U.S.C. § 13. However, by policy the National Park Service cannot charge you with a state offense that has a harsher penalty than an equivalent federal law already on the books. Commissioned National Park Service employees must follow all policies outlined in DOI reference manuals and directors orders in performance of their duties. Special Agents are criminal investigators who plan and conduct investigations concerning possible violations of criminal and administrative provisions of the NPS and other statues under the United States Code and/or Code of Federal Regulations. Special agents can be uniformed or plain clothes officers. Special Agents often carry concealed firearms, and other defensive equipment, make arrests, carry out complex criminal investigations, present cases for prosecution to U.S. Attorneys, and prepare investigative reports. Field agents travel a great deal and typically cover several NPS units and several states. Criminal investigators occasionally conduct internal and civil claim investigations. Uniformed Law Enforcement Rangers, Park Police Officers and Special Agents enforce Federal laws and regulations governing NPS lands and resources. These personnel can also enforce some or all state laws on NPS lands. As part of that mission, LEOs carry firearms, defensive equipment, make arrests, execute search warrants, complete reports and testify in court. They establish a regular and recurring presence on a vast amount of public lands, roads, and recreation sites. The primary focus of their jobs is the protection of natural resources, protection of NPS employees and the protection of visitors. To cover the vast and varied terrain under their jurisdiction, NPS employees use numerous types of vehicles, horses, aircraft, UTV/ATV's, snowmobiles, dirt bikes and boats. 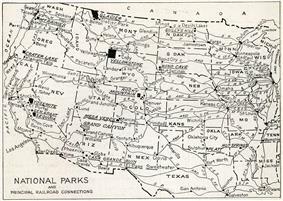 There are several types of National Park Service jurisdiction. Jurisdiction is set by the enabling legislation for each individual unit of the NPS and is considered part of the Special Maritime and Territorial Jurisdiction of the United States. Law enforcement on NPS lands with exclusive jurisdiction is solely conducted by NPS Law Enforcement Rangers (field officers) or the US Park Police. Many NPS units have concurrent jurisdiction and share law enforcement authority with their state and/or local county law enforcement agencies. Some National Park Service units have proprietary or partial jurisdiction where law enforcement authority for certain serious incidents lies with the state or county. Most NPS units have memorandums of understanding with outside law enforcement agencies, so that policies are in place when and if outside agency assistance is needed. The National Park Service commonly refers to law enforcement operations in the agency as Visitor and Resource Protection. There are several different types of law enforcement employees including Type I and Type II Law Enforcement Rangers and Special Agents. The United States Park Police is a unit of the National Park Service, with jurisdiction in all National Park Service areas and certain other Federal and State lands. Most Law Enforcement Rangers, Park Police Officers, and Special Agents Receive their training through Federal Law Enforcement Training Center (FLETC). Type II Law Enforcement Rangers receive their training through FLETC accredited Seasonal Law Enforcement Academies. Numerous concessions operate lodging, gas stations, restaurants, and gift shops, offering an opportunity to work in a national park. Across the nation, there are special opportunities for artists (visual artists, photographers, sculptors, performers, writers, composers, and crafts) to live and work in a park. Twenty-nine parks currently participate in the Artist-In-Residence program. FTE stands for Full Time Equivalency or 1 work year. In 2012, the National Park Service reported that over 221,000 volunteers contributed about 6.4 million hours annually. ...137,000 VIPs contributed 5.2 million hours of service (or 2500 FTEs) valued at $91,260,000 based on the private sector value figure of $17.55 as used by AARP, Points of Light Foundation, and other large-scale volunteer programs including many federal agencies. There are 365 separate volunteer programs throughout the National Park Service. Since 1990, the number of volunteers has increased an average of 2% per year. The Volunteer-in-Parks program was authorized in 1969 by the Volunteers in the Parks Act of 1969. for the purpose of allowing the public to serve in the nations parks providing support and skills for their enhancement and protection. Locations are varied. Parks exist in the nation's larger cities like New York City (Federal Hall Memorial National Historic Site), Atlanta (Martin Luther King, Jr. National Historic Site), and San Diego (Cabrillo National Monument) to some of the remotest areas of the continent like Hovenweep National Monument in southeastern Utah, to Aniakchak National Monument in King Salmon, Alaska. In addition, many seasonal workers are hired to handle the increased need for staffing during the busy summer months. By the mid-1950s, the primary employee of the Service was the Park Ranger and they did everything that was needed in the parks. They cleaned up trash, operated heavy equipment, fought fires, managed traffic, cleared trails and roads, provided information to visitors, managed museums, performed rescues, flew aircraft, and investigated crime. The national office is located in the Main Interior Building, 1849 C Street NW, several blocks southwest of the White House. The central office is composed of eleven directorates: Director/Deputy Directors; Business Services; Workforce Management; Chief Information Officer; Cultural Resources; Natural Resource Stewardship and Science; Office of the Comptroller; Park Planning, Facilities, and Lands; Partnerships and Visitor Experience; Visitor and Resource Protection; and the United States Park Police. The National Park Service is a bureau of the U.S. Department of the Interior. The Director is nominated by the President of the United States and confirmed by the U.S. Senate. The Director is supported by six senior executives. They manage national programs, policy, and budget from the Washington, DC, headquarters. Under the Deputy Director of Operations are seven regional directors, who are responsible for national park management and program implementation. Together this group is called the National Leadership Council. Headquarters are located in Washington, D.C., with regional offices in Anchorage, Atlanta, Lakewood, CO (Denver), Omaha, NE, Oakland, CA, Philadelphia and Seattle. The headquarters building of the National Park Service Southwest Regional Office is architecturally significant and is designated a National Historic Landmark. Books written by individual National Park interpreters or experts on specific parks are published for each park by KC Publications. At many Park Service sites a bookstore is operated by a non-profit cooperating association. The largest example is Eastern National, which runs bookstores in 30 states with 178 stores. Forever Resorts at Big Bend National Park, Blue Ridge Parkway, Badlands National Park, North Rim of Grand Canyon National Park, Olympic National Park, Lake Mead National Recreation Area, Mammoth Cave National Park, Isle Royale National Park, and Rocky Mountain National Park. Xanterra Parks & Resorts at Bryce Canyon National Park, Crater Lake National Park, Death Valley National Park, South Rim Grand Canyon National Park, Mount Rushmore National Memorial, Painted Desert at Petrified Forest National Park, Yellowstone National Park, and Zion National Park. In an effort to increase visitation and allow for a larger audience to enjoy national park land, the National Park Service has numerous concession contracts with private businesses to bring recreation, resorts and other compatible amenities to their parks. NPS lodging opportunities exist at places such as the Wawona Hotel in Yosemite National Park and the Fort Baker Retreat and Conference Center in Golden Gate National Recreation Area. "Adaptive reuses" like those at Fort Baker, have raised some controversy from concerns about the historical integrity of these buildings, after extensive renovations and whether such alterations fall within the spirit and/or the letter of the preservation laws they are protected by. Additional information at "The Disabled Traveler's Companion". Parks that are known for their scenic vistas make them available through a variety of designs. Paved overlooks with accessible parking is the most common, and not always identified in written material. Road designs are configured to provide for mountain and landscape vistas from a vehicle. Many National Park units have fully accessible trails. Visitors should check the park's web-site to insure that the trail is designed to meet their individual needs. Trails may have a compacted gravel surface, paved with asphalt, or a board walk. Many will have guardrails, others may have a ridge along the edge, detectable by the visually impaired using a cane and capable of stopping a wheelchair. Many have no detectable edge when there is a stable surface. The National Park System offers numerous accessible camping opportunities. In over 120 units, campgrounds have sites specifically designed for tent camper accessibility. Special camp sites are located near restrooms with paved walkways to and from the restroom and water sources. Sites have hardened tenting sites that provide for easy access, but allow for tents to be erected on soil. Many additional units have pull-through trailer sites, providing for motorized use, but may have limited access to the rest of the campground facilities. Service animals are allowed in all facilities and on most trails, with the exceptions of stock trails and areas closed by the superintendent to protect park resources. Service animals must always be leashed. Service animals in training and pets are subject to other park regulations. When traveling with an animal, carry water, and allow for stops. Dispose of pet feces in a trash bin. The Access Pass offers free, lifetime admission to federal areas of the National Park Service, Bureau of Land Management, U.S. Army Corps of Engineers, U.S. Fish and Wildlife Service, U.S. Forest Service, and Tennessee Valley Authority. The Youth Conservation Corps (YCC), bring young people into a park to restore, preserve and protect a natural, cultural, or historical resources. Enrollees are paid for their work. The Public Land Corps (PLC) is a job helping to restore, protect, and rehabilitate a local national parks. The enrollees learn about environmental issues and the park. A dozen non-profit. The National Park Service works with the Boy Scouts of America. Members can become a Scout Ranger and earn a patch. The Service formerly participated every four years at the BSA Jamboree at Fort A.P. Hill, Virginia. Many scouts have completed their Eagle projects in a National Park helping preserve the resources, while furthering the scouting experience. Girl Scouts can become a Girl Scout Ranger and earn a patch. The National Park Service works with Girl Scout Troops through their Linking Girls to the Land. The Corps Network, formerly known as the National Association for Service and Corps (NASCC), represents 136 Service and Conservation Corps. These groups have programs in 42 states and the District of Columbia. Corpsmembers are between the ages of 16–25. Service and Conservation Corps are direct descendants of the Civilian Conservation Corps (CCC) of the 1930s that built park facilities in the national parks and other public parks around the country. The Corps Network was established in 1985. The oldest serving group is the Student Conservation Association (SCA). It was established in 1957, committed to conservation and preservation. The SCA's goal is to create the next generation of conservation leaders. SCA volunteers work through internships, conservation jobs, and crew experiences. Volunteers conduct resource management, historic preservation, cultural resources and conservation programs to gain experience, which can lead to career development and further educational opportunities. The SCA places volunteers in more than 350 national park units and NPS offices each year. The National Park Service offers a variety of youth oriented programs. They range from the Web Ranger on-line program to many programs in each National Park Unit. The primary work opportunities for youth are through the Youth Corp networks. Facilities Among facilities, the park Visitor Centers obtain a consistent 70% very good rating (73% in 2007). Services Consistently, the highest ranked service has been Assistance from Park Employees (82% very good, 2007). Overnight stays Over 13.8 million visitors spent a night in one of the National Park Units during 2008. The largest number (3.59 million) stayed in one of the lodges. The second largest group were tent campers (2.96 million) followed by Miscellaneous stays (on boats, group sites—2.06 million). The last three groups of over-night visitors included RV Campers (2.01 million), Back country campers (1.80 million) and users of the Concession run campgrounds (1.22 million). Over the last 30 years the largest change has been with RV users. The ten most visited units of the National Park System handle thirty percent of the visits to the 398 park units. The top ten percent of parks (39) handle 61.2% of all visits, leaving the remaining 355 units to deal with 38.8% of visits. The National Park System receives over 280,000,000 visits each year throughout the 398 units. Park visitation grew 40 percent between 1980 and 2001. Annually, visitors are surveyed for their satisfaction with services and facilities provided. National Reserves are similar to national preserves, but the operational authority can be placed with a local government. New Jersey Pinelands National Reserve was the first to be established in 1978. National Preserves are for the protection of certain resources. Activities like hunting, fishing, and some mining are allowed. Big Cypress National Preserve and Big Thicket National Preserve were created in 1974 as the first national preserves. The National Trails System preserves long-distance routes across America. The system was created in 1968 and consists of two major components: National Scenic Trails are long-distance trails through some of the most scenic parts of the country. They received official protection in 1968. The Appalachian Trail and the Continental Divide Trail are the best known. National Historic Trails commemorate the routes of major historic events. Some of the best known are the Trail of Tears, the Mormon Trail, and the Santa Fe Trail. These trails are administered by several federal agencies. National Recreation Areas originally were units (such as Lake Mead National Recreation Area) surrounding reservoirs impounded by dams built by other federal agencies. Many of these areas are managed under cooperative agreement with the National Park Service. Now some national recreation areas are in urban centers, because of the recommendations of a Presidential commission, the Outdoor Recreation Resources Review Commission (ORRRC). These include Gateway National Recreation Area and Golden Gate National Recreation Area, which encompass significant cultural as well as natural resources. National Rivers and Wild and Scenic Riverways protect free-flowing streams over their length. The riverways may not be altered with dams, channelization, or other changes. Recreational pursuits are encouraged along the waterways. Ozark National Scenic Riverways was established in 1964. National Seashores and National Lakeshores offer preservation of the national coast line, while supporting water–based recreation. Cape Hatteras National Seashore was created in 1937. Indiana Dunes National Lakeshore and Pictured Rocks National Lakeshore, created in 1966, were the first national lakeshores. National Military Parks, Battlefield Parks, Battlefield Sites, and Battlefields preserve areas associated with military history. The different designations reflect the complexity of the event and the site. 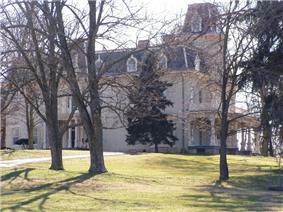 Many of the sites preserve important Revolutionary War battles and Civil War battlefields. Military parks are the sites of larger actions, such as Chickamauga and Chattanooga National Military Park, Vicksburg National Military Park, Gettysburg National Military Park, and Shiloh National Military Park—the original four from 1890. Examples of battlefield parks, battlefield sites, and national battlefields include Richmond National Battlefield Park, Brices Cross Roads National Battlefield Site, and Antietam National Battlefield. National Historical Parks are larger areas with more complex subjects. George Rogers Clark National Historical Park was dedicated in 1936. Historic sites may also be protected in national parks, monuments, seashores, and lakeshores. National Historic Sites protect a significant cultural resource that is not a complicated site. Examples of these types of parks include Ford's Theatre National Historic Site and William Howard Taft National Historic Site. National Monuments preserve a single unique cultural or natural feature. Devils Tower National Monument was the first in 1906. National Parks preserve nationally and globally significant scenic areas and nature reserves. The National Park Service uses over 20 different titles for the park units it manages, including national park and national monument. Annually, the NPS employs over 20,000 Americans with an additional 221,000 Volunteers-In-Parks who contribute about 6.4 million hours annually. According to a 2011 Michigan State University report prepared for the NPS, for each $1 invested in the NPS, the American public receives $4 in economic value. In 2011, national parks generated $30.1 billion in economic activity and 252,000 jobs nationwide. Thirteen billion of that amount went directly into communities within 60 miles of a NPS unit. Moreover, for every million dollars invested in park construction and maintenance, an additional 14 – 16 jobs are generated. Mandatory appropriations are those items created by other congressional legislation that must be paid for. They include the Recreational Fee Demonstration Program, which requires the distribution and expenditure of fees collected by the National Park Service. Other Permanent Appropriations includes special funding categories to non-profit and state entities, which have been assigned to the National Park Service to manage. Miscellaneous Trust Funds includes funding sources that have been created by the federal government or private citizen, where the National Park Service or a specific park have been identified as the beneficiaries. And there is also the L&WCF Contract Authority which is the Land and Water Conservation Fund, a congressionally created source of revenues, managed by the National Park Service. The Great Lakes Restoration Initiative, is a $475.0 million proposal included in the U.S. Environmental Protection Agency budget. The park service will participate through the EPA in restoration activities in those parks that are within the watershed of the Great Lakes. Activities will include such actions as removal of dumps and fuel spills. Park will monitor mercury, lead, DDT, and other contaminants in six parks on the Great Lakes. Work also includes the removal of invasive species and education on how to prevent their spread. There are YouTube videos about the work being done in this field. Otherwise known as "stimulus funds", the American Recovery and Reinvestment Act of 2009 provides funds to restore and preserve major infrastructures within the national parks. Within this category are a number of one-time events, which are added or removed as the events require. Notably in the FY 2009 and FY 2010 is the removal of the costs for the presidential inaugural. Other savings are identified through reduced operational costs from energy-efficient retro-fitting and the demolition of structures beyond repair. These funds go to local communities to preserve natural and cultural resources. Among the programs supported are the Rivers, Trails, and Conservation Assistance programs that promote community links to parks, natural resource conservation and outdoor recreation across America. As the nation's leader in cultural preservation, funds are provided for a variety of programs to meet these needs nationwide. Two specific programs include the Save America's Treasures and the Preserve America. The Historic Preservation Offices makes grants available to the States, territories, and tribal lands. This segment of the budget provides for the construction of new facilities or the replacement of aging and unsafe facilities. Additionally, there are funds in the recreation fees, park roads funding, and the American Recovery and Reinvestment Act that provide for other specific facilities/infrastructure work. Additional funds come from the Federal Land Highway Administration for the construction and repair of Park roads. The LWCF supports Land Acquisition and State Conservation Assistance grant programs. The 2010 funds are the beginning of an incremental process to fully fund LWCF programs at $900 million. The Department of the Interior and the U.S. Forest Service use these funds to purchase critical lands to protect existing public lands. Grants will be made to states and local communities to preserve and protect Civil War battlefield sites that are not part of the national park system. The NPS State Conservation Assistance program distributes funding to States for land preservation. These funds support the use of partnerships to achieve park preservation. 25 million dollars have been provided for FY 2010. These funds require matching grants from individuals, foundations, businesses, and the private sector. These costs are bills that are paid directly to outside organizations as part of the logistical support needed to run the parks. It includes rent payments to the General Services Administration for building space; postage payments to the postal machine vendor, and other direct payments. This is the staff that provides for the routine logistical needs of the parks. There are human resource specialists, contracting officers, property specialists, budget managers, accountants and information technology specialists. This is the cost of maintaining the necessary infrastructure within each park that supports all the services provided. It includes the plows and heavy equipment for road clearing, repairs and construction. There are buildings, trails, roads, docks, boats, utility pipes and wires, and a variety of hidden systems that make a park accessible by the public. The staff includes equipment operators, custodians, trail crews, electricians, plumbers, architects, and other building trade specialists. This includes the staff responding to visitor emergencies (medical and criminal), and the protection of the park's natural and cultural resources from damage by those persons visiting the park. 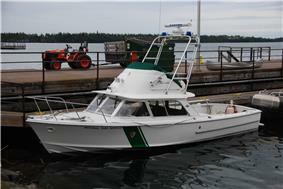 The staff includes park rangers, park police, criminal investigators, and communication center operators. Funds go towards providing for public programs and educational programs for the general public and school groups. This area is commonly staffed by park rangers, who are trained in providing walks, talks, and educational programs to the public. There is an increased number of media specialists, who provide for the exhibits along trails, roads and in visitor contact facilities, as well as the written brochures and web-sites. These are funds and people directed towards the restoration, preservation, and maintenance of natural and cultural resources. The resource staff includes biologists, geologists, archeologists, preservation specialists and a variety of specialized employees to restore and preserve cultural buildings or natural features. 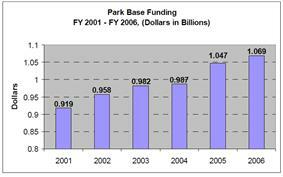 Discretionary spending includes the Operations of the National Parks (ONPS), from which all park operations are paid. The United States Park Police funds cover the high-profile law enforcement operations at some of the large parks; i.e., Gateway National Recreation Area, Golden Gate National Recreation Area, and the National Mall. The National Recreation and Preservation Program and the Urban Park and Recreation Fund are outreach programs to support state and local outdoor recreational activities. The National Park Services budget is divided into two primary areas, discretionary and mandatory spending. Within each of these areas, there are numerous specific purposes to which Congress directs the services activities. The budget of the National Park Service includes discretionary spending which is broken out into two portions: the direct operations of the National Parks and the special initiatives. Listed separately are the special initiatives of the service for the year specified in the legislation. 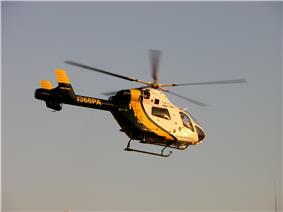 For Fiscal Year 2010, the service has been charged with five initiatives. They include: Stewardship and Education; Professional Excellence; Youth Programs; Climate Impacts; and Budget Restructure and Realignment. (MPAs) began with Executive Order 13158 in May 2000, when official MPAs were established for the first time. The initial listing of U.S. areas was presented in 2010, consisting of areas already set aside under other legislation. The National Park Service has 19 park units designated as MPAs. Wilderness areas are covered by the US National Wilderness Preservation System, which protects federally managed lands that are of a pristine condition, established by the Wilderness Act (Public Law 88-577) in 1964. The National Wilderness Preservation System originally created hundreds of wilderness zones within already protected federally administered property, consisting of over 9 million acres (36,000 km²). It possesses exceptional value or quality in illustrating or interpreting the natural or cultural themes of our Nation's heritage. Most units of the National Park Service have been established by an act of Congress, with the president confirming the action by signing the act into law. The exception, under the Antiquities Act, allows the president to designate and protect areas as National Monuments by executive order. Regardless of the method used, all parks are to be of national importance. For current specifics and a multitude of information, see the Quick Facts section of the NPS website. Many parks charge an entrance fee ranging from US$3 to $25 per week. Visitors can buy a federal interagency annual pass, known as the "America the Beautiful – National Parks and Federal Recreational Lands Pass," allowing unlimited entry to federal fee areas (USDA Forest Service, National Park Service, US Fish & Wildlife Service, Bureau of Land Management, and Bureau of Reclamation) for $80 per year. This pass applies to entry fees only. Other applicable fees, such as camping, and backcountry access, still apply. U.S. citizens who are 62+ years old may purchase a version with the same privileges for $10, and citizens with permanent disabilities may receive a free version. Although all units of the National Park System in the United States are the responsibility of a single agency, they are all managed under individual pieces of authorizing legislation or, in the case of national monuments created under the Antiquities Act, presidential proclamation. For example, because of provisions within their enabling legislation, Congaree National Park is almost entirely wilderness area devoid of development, yet Yosemite allows unique developments such as the Badger Pass Ski Area and the O'Shaughnessy Dam within its boundaries. Death Valley National Park has an active mine legislated within its boundaries. Such irregularities would not be found in other parks unless specifically provided for with exceptions by the legislation that created them. In addition to administering its units and other properties, the National Park Service also provides technical and financial assistance to several "affiliated areas" authorized by Congress. The largest affiliated area is New Jersey Pinelands National Reserve at 1,164,025 acres (4711 km²). The smallest is Benjamin Franklin National Memorial at less than 0.01 acres (40 m2). The National Park System (NPS) includes all properties managed by the National Park Service (also, confusingly, "NPS"). The title or designation of a unit need not include the term park; indeed, most do not. The System as a whole is considered to be a national treasure of the United States, and some of the more famous national parks and monuments are sometimes referred to metaphorically as "crown jewels". The system encompasses approximately 84.4 million acres (338,000 km²), of which more than 4.3 million acres (17,000 km²) remain in private ownership. The largest unit is Wrangell-St. Elias National Park and Preserve, Alaska. At 13,200,000 acres (53,000 km²), it is over 16 percent of the entire system. The smallest unit in the system is Thaddeus Kosciuszko National Memorial, Pennsylvania, at 0.02 acre (80 m²). Yellowstone National Park was the first national park in the United States. In 1872, there was no state government to manage it, so the federal government assumed direct control. Yosemite National Park began as a state park; the land for the park was donated by the federal government to the state of California in 1864 for perpetual conservation. 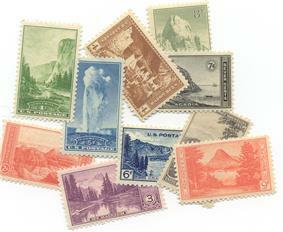 Yosemite was later returned to federal ownership. Since its inception in 1916, the National Park Service has managed each of the United States' national parks, which have grown in number over the years to 59. Grand Canyon National Park, south rim of canyon. In 1966, as the Park Service turned 50 years old, emphasis began to turn from just saving great and wonderful scenery and unique natural features to making parks accessible to the public. Director National Lakeshores and then National Recreation Areas. In 1951, Conrad Wirth became director of the National Park Service and went to work on bringing park facilities up to the standards that the public expected. The demand for parks after the end of the World War II had left the parks overburdened with demands that could not be met. In 1952, with the support of President Dwight D. Eisenhower, he began Mission 66, a ten-year effort to upgrade and expand park facilities for the 50th anniversary of the Park Service. New parks were added to preserve unique resources and existing park facilities were upgraded and expanded. On March 3, 1933, President Franklin D. Roosevelt, made use of this power. Deputy Director Horace M. Albright had suggested to President Roosevelt that the historic sites from the American Civil War should be managed by the National Park Service, rather than the War Department. President Roosevelt agreed and issued two Executive orders to make it happen. These two executive orders not only transferred to the National Park Service all the War Department historic sites, but also the national monuments managed by the Department of Agriculture and the parks in and around the capital, which had been run by an independent office. National parks and national monuments in the United States were originally individually managed under the auspices of the Department of the Interior. The movement for an independent agency to oversee these federal lands was spearheaded by business magnate and conservationist Stephen Mather, as well as J. Horace McFarland. With the help of journalist Robert Sterling Yard, Mather ran a publicity campaign for the Department of the Interior. They wrote numerous articles that praised the scenic and historic qualities of the parks and their possibilities for educational, inspirational, and recreational benefits. This campaign resulted in the creation of a National Park Service. On August 25, 1916, President Woodrow Wilson signed a bill that mandated the agency "to conserve the scenery and the natural and historic objects and wildlife therein, and to provide for the enjoyment of the same in such manner and by such means as will leave them unimpaired for the enjoyment of future generations." Mather became the first director of the newly formed NPS. The National Park Service will celebrate its centennial in 2016. On January 1, 2016, Pasadena Tournament of Roses will help kick off the celebration at the 2016 Rose Parade. The theme of the 2016 parade is "Find Your Adventure", announced by Tournament President Mike Matthiessen for the 127th Rose Parade after taking office on January 15, 2015. 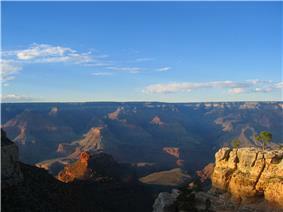 As of 2008 21,989 employees of the NPS oversee 408 units, of which 59 are designated national parks. It is an agency of the United States Department of the Interior. Most of the direct management of the NPS is delegated by the Secretary of the Interior to the National Park Service Director, who must be confirmed by the Senate.